Lawrence High's Evann Seratte runs the final curve of the 6A girls preliminary heat of the 400 meters at the state track and field meet on Friday, May 25, 2018, at Wichita State's Cessna Stadium. On some level, Lawrence High senior Evann Seratte always knew she’d end up going to the University of Kansas. After all, Seratte spent the last four years going to high school at a place just down the road from KU’s campus. Seratte did her due diligence during her recruiting process, though in the end, she decided to become a Jayhawk. Seratte made her collegiate plans official Wednesday afternoon, signing her national letter of intent to compete for the KU women’s track and field team. The ceremony at LHS took place over a month after Seratte officially visited Kansas for the first time. 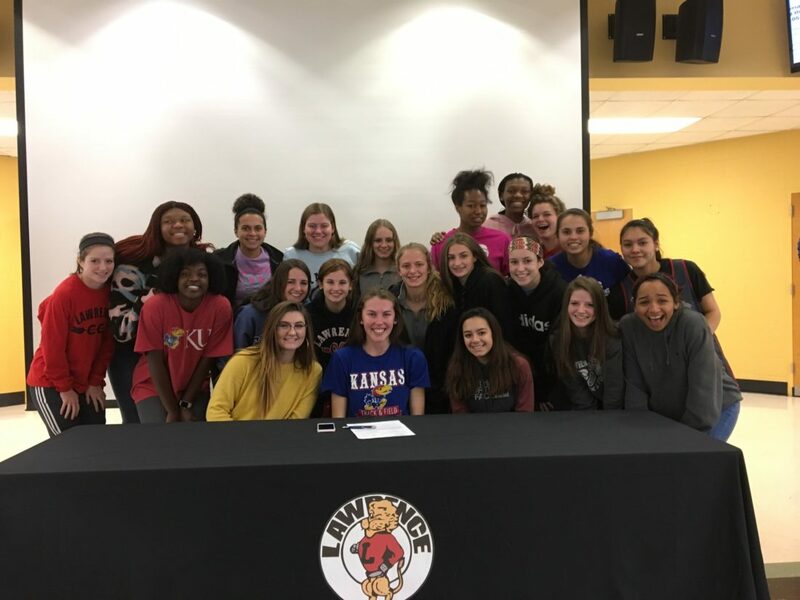 Lawrence High senior Evann Seratte with her teammates Wednesday afternoon after signing her national letter of intent to run track at the University of Kansas. Last season, Seratte won an individual title by claiming first in the 800-meter run at the 6A state track meet. Seratte has been running at a competitive level since the seventh grade. Once she started high school, Seratte started to believe that she could run at the next level. It became even more realistic when Seratte started competing in the 800-meter run, an event she began doing her sophomore season. After not qualifying for state in the 800 as a sophomore, Seratte won a state title in the event during her junior campaign. She even set a school record with a time of 2:16.09. 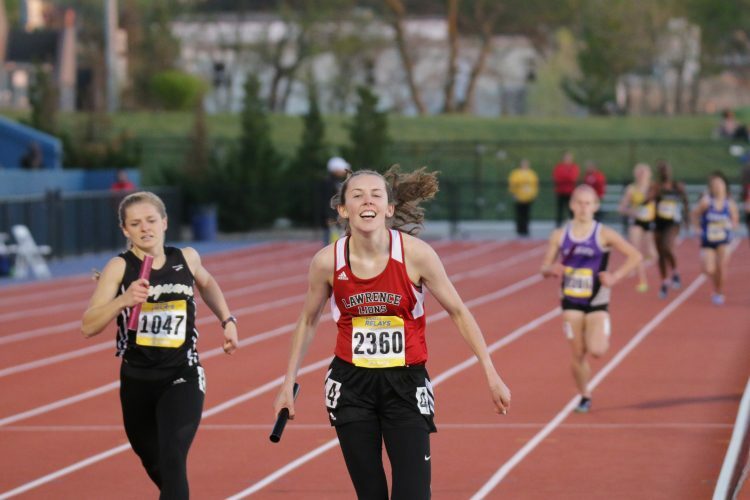 Seratte added a second-place finish in the 400 meters, helping the LHS girls track team capture the state title. Seratte believes she will compete in the 1,500-meter run and participate in some relays for the track team at the collegiate level. In addition, Seratte will do some training with the cross-country team in the fall, though she won’t compete in any meets. It will be different from what she is used to, as Seratte has been an integral part of three different sports during her time with the Lions. 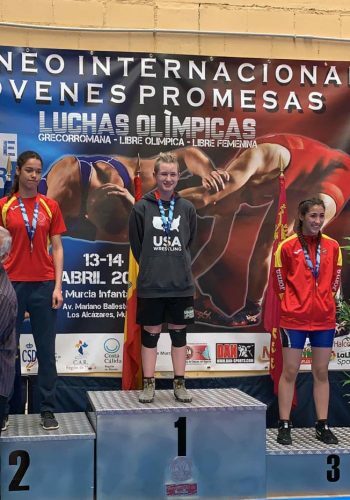 Seratte has competed in both cross-country and track at LHS, while she also competes for the girls basketball team. 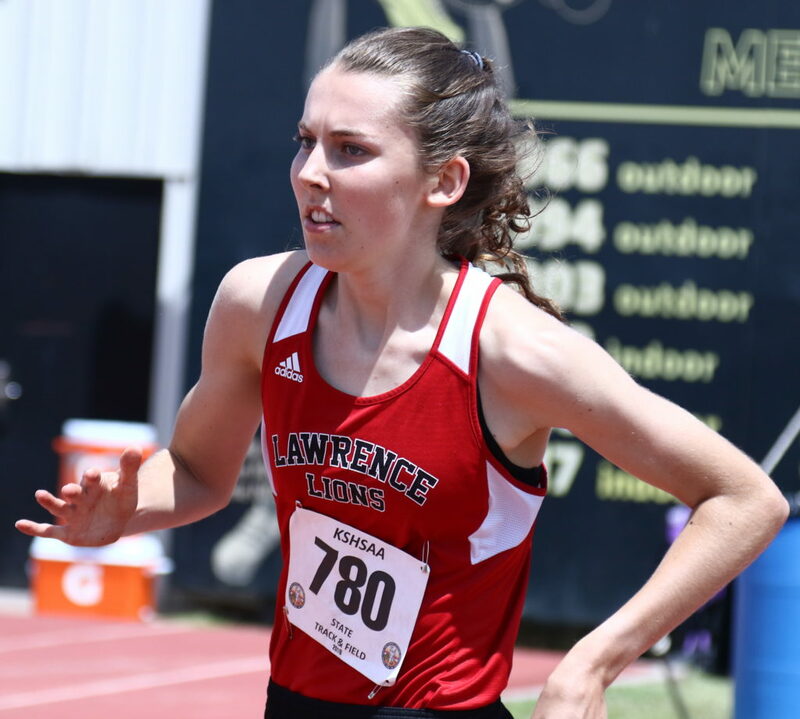 Her favorite athletic accomplishment was helping Lawrence claim a team title at the state track meet this past May, something LHS hopes to defend in 2019. “I won the 800 individually, but I’d give that up if we could win state as a team again this year,” Seratte said. Plenty of Free State athletes signed their respective letters of intent this week, as well. Senior Jake Baker, who is a left-handed pitcher and a first baseman for FSHS, signed to play baseball at KU. As a junior, Baker hit .377 with a .469 on-base percentage, and finished with 20 RBI. Fellow senior Ethan Bradford, a left-handed hurler, officially signed to play baseball at Nebraska. 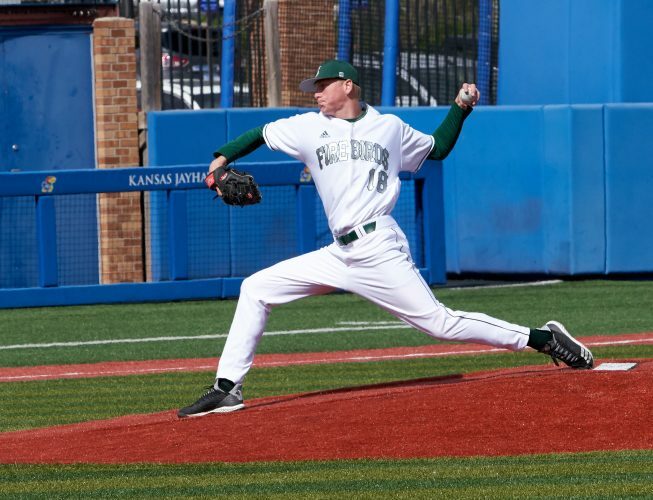 Last season, Bradford posted an 8-2 record with a 2.29 ERA, while striking out 39 batters and walking just 19. 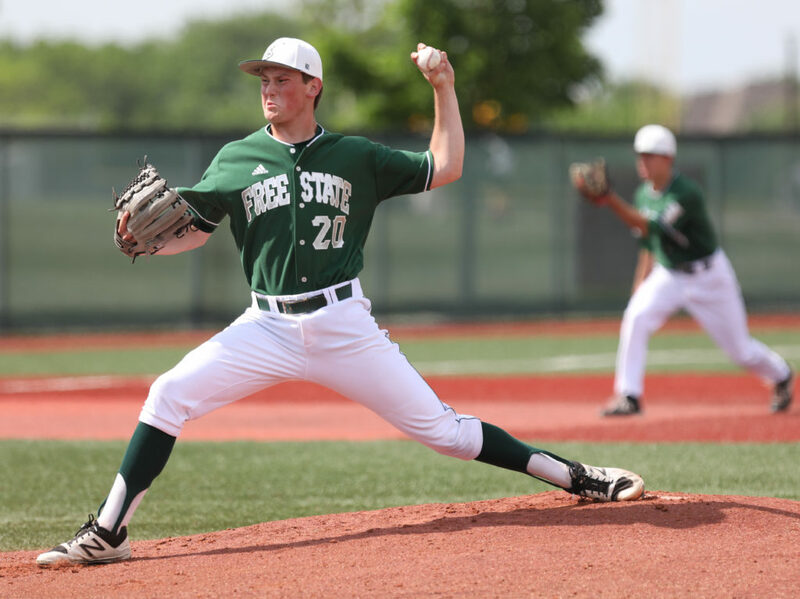 Free State pitcher Jake Baker delivers to the plate during the second inning against Wichita South on Wednesday, May 16, 2018 at Free State High School. Jaxson Webb signed to play baseball at Fort Hays State. Webb is a three-sport athlete for the Firebirds, playing football, basketball and baseball. Landon Berquist inked his plans to play golf at Kansas Wesleyan. As a junior, Berquist tied for 11th at the 6A state meet to help Free State place sixth as a team. Kenzie Rorabaugh, meanwhile, became the newest member of the Baker women’s soccer team. FSHS wrestling coach Mike Gillman is always referring to the team’s streak during practice. It has been four years since the Firebirds last dropped a dual, something they emphasize on a daily basis during the season. 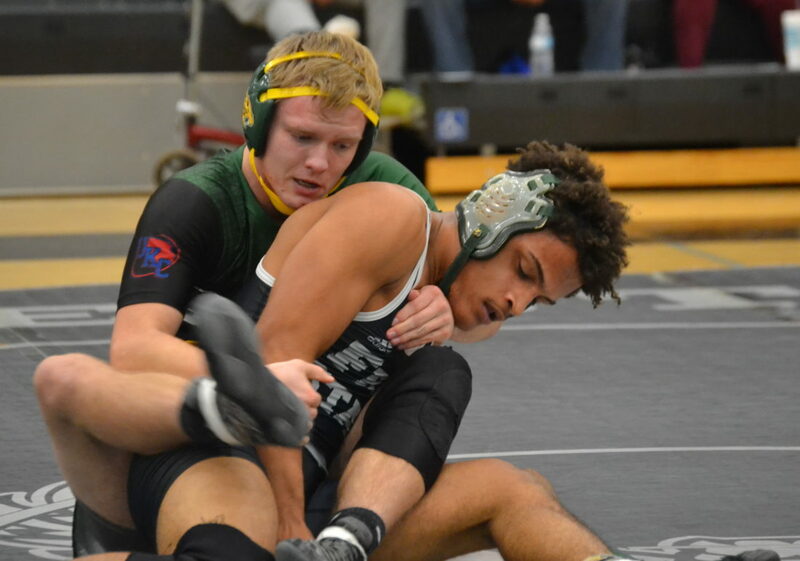 Free State wasted no time extending its streak Wednesday night, claiming five of the first six matches via pin en route to a 62-18 win over Basehor-Linwood. The victory marked the program’s 37th consecutive dual win. The streak started before many of the current wrestlers were involved with the program, but Free State doesn’t plan on ending it anytime soon. Basehor-Linwood clinched the first match, but Free State (No. 9 in Class 6A) responded with four consecutive pins. Freshman Trey Shanks, senior Garrett Bradley, junior Lou Fincher and sophomore Caleb Streeter reclaimed momentum by downing their respective opponent in quick fashion. Free State senior Devin Beers competes during a dual match with Basehor Linwood Wednesday night at FSHS. The Firebirds have won 37 consecutive duals. Seniors Malachai Daniels and Elijah Jacobs, along with junior Xavier Farley, each earned a victory without facing a Basehor-Linwood foe in their respective weight class. 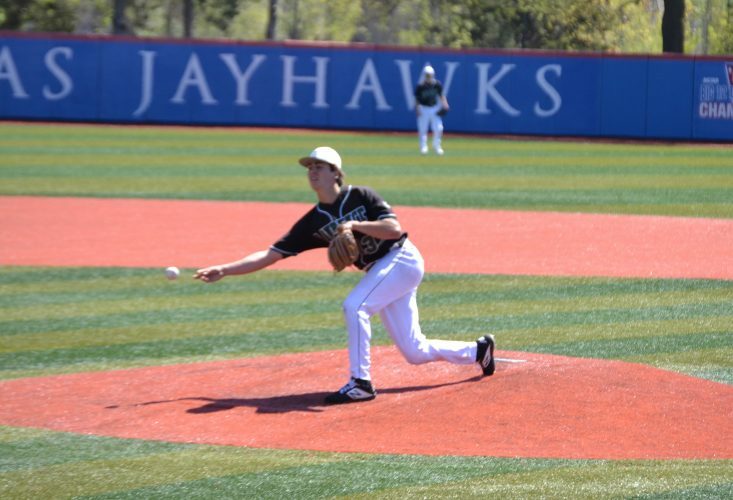 Free State juniors Preston Mallett and Joey Eddis were credited with victories, as well, during the lopsided win. In the 182-pound weight class, senior Devin Beers (No. 5 in Class 6A) netted another pin for the Firebirds. It proved to be more than enough to maintain Free State’s dominating stretch against teams in dual competitions. 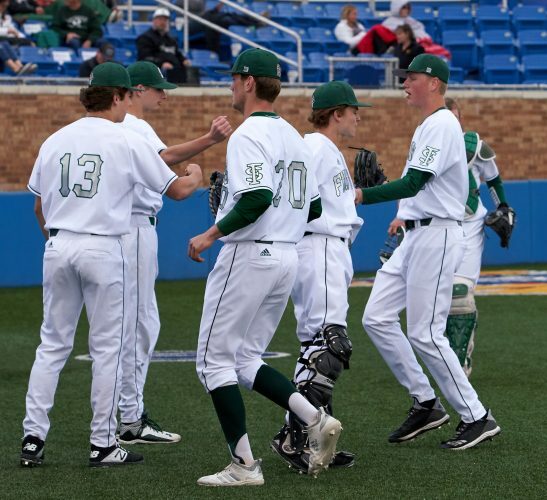 Free State returns to action at 9 a.m. Saturday for a tournament in Emporia.